Recently, I had the opportunity to chat with Dr. Paul Reeves about one of my favorite topics–characterization. I shared some of the secrets I’ve learned from my characters and talked about the techniques I use to “coax” my characters to “talk” to me. 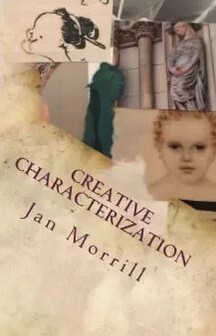 My workbook, Creative Characterization, includes several different methods (with exercises) to develop characters. Listen and learn how to discover your characters’ secrets! This entry was posted in writing and tagged characterization, Dr. Paul Reeves, Family Talk Radio, ImpactRadioUSA.com. Bookmark the permalink.